This would be fairly typical. I watch a film about Tolstoy, and decide I should read War and Peace. Superego punishing me for having reclined on the sofa all evening not doing something worthwhile. I start reading War and Peace and discover that it is all about bloody beautiful younger sisters and horrible older sisters. Mope about on bed feeling ugly and horrible for several hours and indulge in some serious self-flagellation before regrouping. Decide to find out why Tolstoy prefers younger sisters. There is always a reason. Do copious research on internet which only makes my crocked arm (my husband’s compassionate phrase) feel much worse. Discover lots of interesting things and make lots of mental notes. Find that there is a biography of Sophia, Tolstoy’s wife which I *absolutely* must read. Buy second hand copy on Amazon, thus increasing the depletion of the rainforest and our bank account simulataneously. Wait a day or so until brown parcel appears, along with several others. Devour biography of Sophia and, after only a few pages, emerge triumphant. There! Now everything is clear. And, bingo! The need to read War and Peace has suddenly disappeared since it is written by a man whom I don’t like who prefers younger sisters. Ergo it would be a waste of my time and just make me feel bad. So I’ll just write this instead. Tolstoy is the fourth son of five children of the Count and Countess Tolstoy. Countess Tolstoy is an only child. Count Tolstoy has two sisters. Their marriage is arranged. She is described as “plain” and five years older than him, but brings a huge dowry with her. He has debts to pay. Two years after his birth and six months after the birth of his younger sister, Tolstoy’s mother dies. He has no memories of her. He is cared for after the death of his mother by two “aunts” and his paternal grandmother. Only one of the aunts, his father’s older sister, is a blood relative. She lives with the family because her husband tried to shoot her and cut out her tongue. The other aunt, Toinette, was adopted by Tolstoy’s grandparents. Tolstoy is orphaned at nine when his father dies; his paternal grandmother dies only three months later. The five siblings are split between the beloved Toinette and the blood aunt. Tolstoy stays with Toinette, but not for long for the blood aunt also dies and the remaining sister of Tolstoy, Pelagya, takes on the whole family. Pelagya is not happy that Tolstoy should stay with Toinette because her husband had proposed to Toinette, was refused, and only proposed to Pelagya afterwards. Pelagya and Toinette remain life long enemies. Such was the hotbed that bred Tolstoy. And he was nurtured in the hothouse. One of his brothers took him to a brothel when he was sixteen and many years of whoring and gambling followed, punctuated by periods of self-loathing and making of resolutions never to be kept. He chronicled it all in his diaries. Fast forward to his 34th year and Moscow and switch to Sophia, his soon-to-be wife. In comparison to Tolstoy, his wife came from a conventional family. Her father, Andrei Behrs was, according to Tolstoy, “a very straightforward, honest and quick-tempered man” though “a big womaniser” who had sired several illegitimate children before his marriage to Sophia’s mother. Sophia, whom Tolstoy married after an engagement of only one week when she was just seventeen, was the middle of three daughters born close together. She had an older sister, Liza, and a younger sister, Tatya, and ten other siblings of whom five died in infancy. Tolstoy tells his sister, Maria, that “if I ever marry, I will only marry in that family”. Liza, the elder sister, and still unmarried, is the obvious choice. She is diligent and bookish, nicknamed “The Professor” in the family and given the role of policing her siblings which makes her unpopular. But Tolstoy has other ideas of a wife, and has fixed on her younger sister, Sophia. He turns up unexpectedly at a dance at their grandparent’s house and, as the evening draws to a close, asks Sophia to stay with him on the terrace and read what he would write. He only writes the initial letters of words, but she guesses the whole sentences. First “Your youth and need for happiness too vividly remind me of my age and incapacity for happiness” and then later he writes that he has been misunderstood: his intention is not to marry Liza. The Behrs parents have not realised where his interest lies, and he is always sat next to Liza. Liza intimates that she expects an announcement on Tolstoy’s 34th birthday on 28th August 1862. 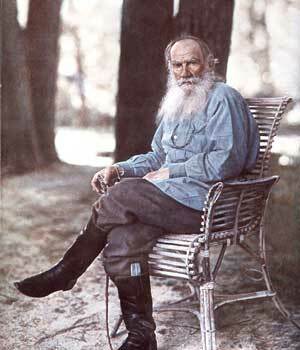 Tolstoy, on the other hand, admits to his diary that he is “beginning to hate Liza as well as pity her”. Sophia’s name day is just over two weeks later, on 16th September and Tolstoy’s present to her is a written proposal which is immediately accepted. Sophia and Liza greet the guests at the name day party and, when Sophia’s mother announces an engagement, all the guests assume that is it Liza who is to be married. Some writer, Sophia. She’d already written a short novel based on the three Behrs sisters called “Natasha”, and had read it to Tolstoy before destroying it. So, the scene is set. Tolstoy is married to a woman half his age. He has all the power and she has none. He withholds affection. She is desperate for it. But what of her two sisters? What, especially, of Tatya?